Roll up! Roll up! 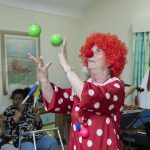 Circus magic comes to Wrexham care home | News by Wales Express News, People Before Profit! 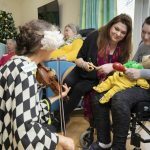 Musicians from a world famous orchestra brought the roar of the crowd and the smell of the grease paint to a care home as part of a “magical” circus workshop. Two members of Manchester’s acclaimed Hallé orchestra brought the joyous sounds of the Big Top to Pendine Park in Wrexham, engaging residents in a magical melee of entertainment. 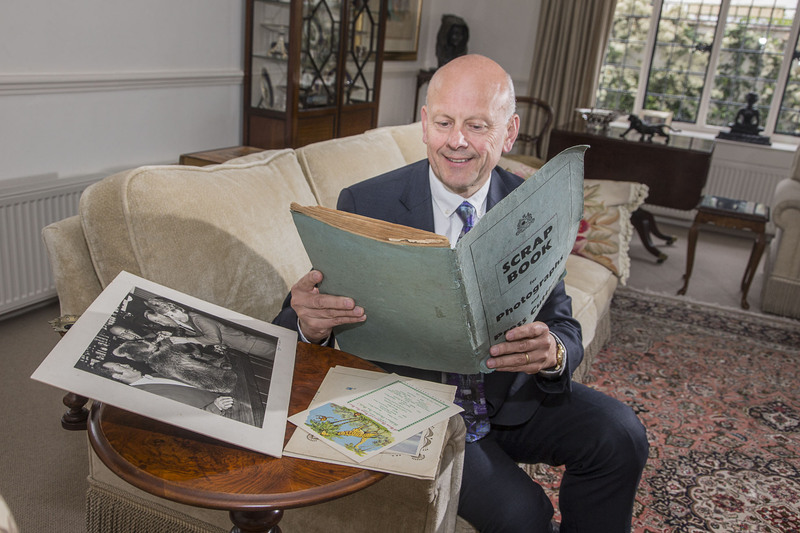 It was particularly appropriate because Mario Kreft MBE, the owner of Pendine Park, comes from a circus family. 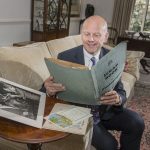 His late father, Franz Kreft, travelled the world as a lion and bear tamer and Mario was Christened in a circus tent in South Africa by the Bishop of Durban. Franz Kreft, a native of Slovenia who died aged 90 in 2014, made history just over 60 years ago when he starred in the first ever live TV broadcast from Rhyl. Maths whizz, Joan Hayes, aged 93 and almost blind, was among those who delighted in the circus themed extravaganza led by Hallé musicians David Petri on keyboard, and violinist Caroline Abbott. Visually impaired Joan agreed to set the pace for one of the songs by tapping her feet in time to the music, encouraging everyone else to follow her rhythm. Joan worked in the demanding world of book-keeping and accountancy for many years. Despite her deteriorating eyesight the perceptive nonagenarian said she found the circus workshop inspirational. She added: “It’s a great way to lift the spirits and encourage a good mood vibe. She told Caroline she was looking forward to a pre-Christmas return visit from the Hallé team when she hoped they would play her festive favourite White Christmas. 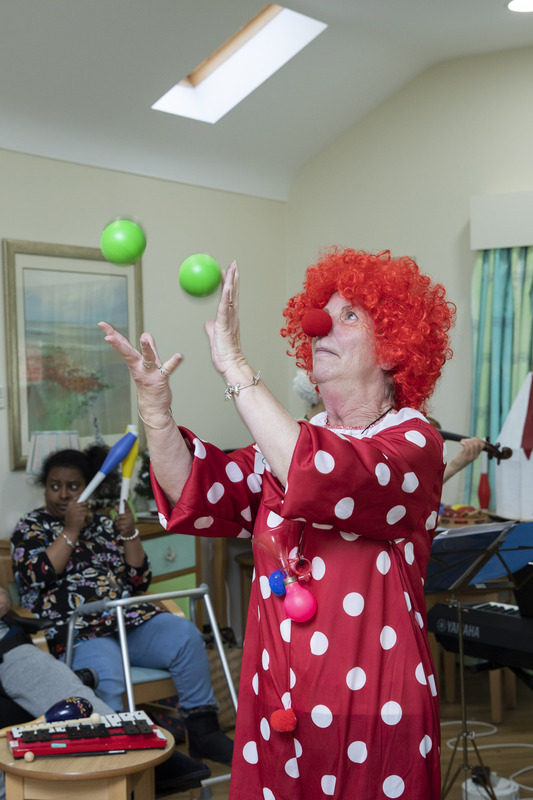 The two-hour circus themed event was the culmination of an arts and music project held over the last year at Pendine Park’s Highfield care home. Other residents who helped keep the fun going included wheelchair-bound Sophie Williams. Assisted by care practitioner Pam Taylor, she used her stripey-socked feet to tap a tambourine to the musical beat. Lindsey Wright and Noel Hughes threw some body shapes for fellow residents to copy and Lindsey added some loud ‘whooping’ sounds to inject more fun into the already upbeat Nellie the Elephant tune. Residents played an array of percussion instruments including maracas, castanets, finger symbols, hand drums and wooden blocks to accompany David and Caroline in cheery numbers ranging from That’s Entertainment to The Hornpiper and Those Magnificent Men in their Flying Machines. Pendine Park enrichment and activities co-ordinators Chris Lewis and Elaine Lee donned circus themed costumes specially for the day. Chris transformed herself into Coco the Clown, complete with bright red curly wig and comical red nose. Elaine dressed up in red and black top and tails as a circus ringmaster. She had everyone on the edge of their seats as she realistically mimed a tightrope act. Juggling and plate-spinning sessions also kept residents highly entertained. An unmissable display of a model Big Top added to the carnival capers. The show-stopping creation was carefully constructed by residents at circus themed craft sessions during the year. Dressed in a brightly coloured wide-brimmed hat and giant bow tie, Christine Jones, 73, lives at Bryn Bella care home, which is also part of the Pendine Park community. She played a key role in one song when she was asked to use a glockenspiel to make a ‘ding’ sound like that of an old fashioned typewriter reaching the end of its line. She was tickled pink in another number which required a bucket of water being thrown over her. The ‘water’ was actually tiny pieces of scrunched up paper made to sound like running water. Christine chuckled: “The water bucket was a real laugh and it’s been such a fun morning. Multi-instrumentalist David, praised all the residents for their unbridled enthusiasm and for fully supporting the series of workshops held throughout the year. 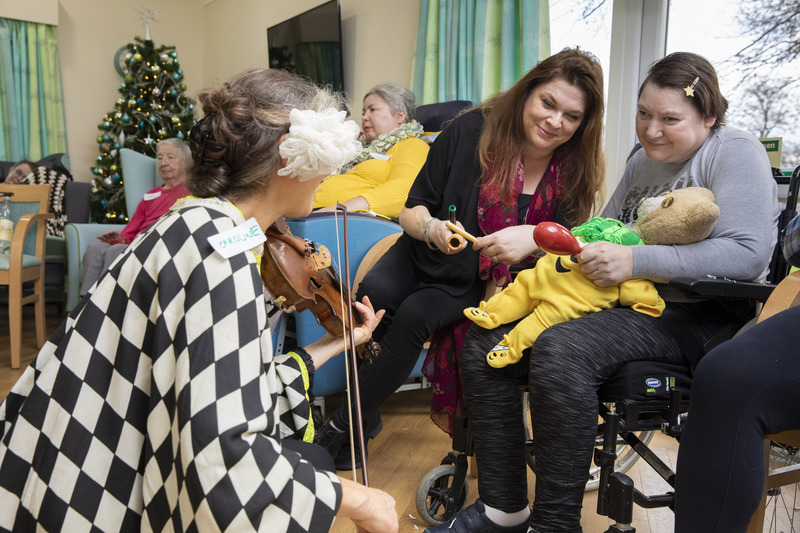 The award-winning partnership between Pendine Park and the Hallé orchestra is designed to offer innovative musical therapy to care home residents and has now been running successfully for more than ten years. Pendine Park artist in residence, Sarah Edwards, thanked David and Caroline for leading the workshops. She said: “We’re so lucky to have musicians of such high calibre here. The Hallé is one of the most famous symphony orchestras in the world and we are honoured to be able to work so closely with its professionals. Mario said: “Both my parents worked in the circus for many years, and it’s funny how the performing arts side of things translates into what we do at Pendine Park. “We’ve very much focused on arts enrichment in the 30 years we’ve been going and we have a long-running partnership with the Hallé who brought the roar of the crowd and the smell of the grease paint to a thoroughly enjoyable session at Highfield. Circus-1Pendine Park and members from the Halle therapy through music workshop with a circus theme; Pictured is David Petrie from the halle. Circus-2Pictured is resident Christine Jones singing along to the music. Circus-3Chris Lewis, the enrichment and activities co-ordinator at Highfield House with resident Lindsey Wright. Circus- 4 and 5Pictured Artist in residents Sarah Edwards with resident Bethan Jones enjoying the music. Ciccus-6Pictured Chris Lewis, the enrichment and activities co-ordinator at Highfield House juggles while residents Tracey Wilde and Christine Jones try out the plate spinning to music preformed by Caroline Abbott and David Petrie from the Halle. Circus-7Pictured juggling is Chris Lewis, the enrichment and activities co-ordinator at Highfield House. Circus- 8Pictured Caroline plays to resident John Hayes with Chris Lewis from Pendine. Circus-9 Dr Sophie Williams taps with her foot to the music . Circus-15 Pictured resident Sara Baur. Circus- 16 Pictured Caroline Abbott from the Halle with residents Tracey Wilde, Christine Jones, Mike Blakley and Sara Baur.